This past Spring we got our very own Wii! Yes, we're one of the last families to get one. Even my parents had one last year! Sheesh! So far we only have a couple of games, but the boys are looking to expand their game library this Christmas! 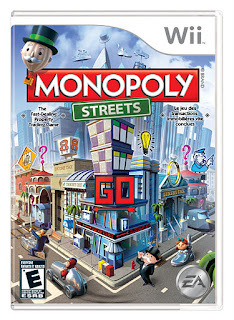 Thanks to EA Play they recently added Monopoly Streets! When we got it in the mail, it only took minutes for Doodle to put it into the game console and off they went. I typically don't allow the boys to spend too much time playing these games, but since it was new and for a review, I let them spend as much time as they wanted learning the game. Well, the next thing I knew, the boys took the game and ran over to the neighbor's house to play with the two boys there! They didn't come home for a couple of hours! Apparently the game was a hit with the neighbors, too. It didn't stop there because then the kids behind us got wind of our new game and the youngest daughter made her way over. She made numerous trips to our house of the next week! Doodle and Buddy have been playing quite a bit. It baffles me as I watch them to know how they figure out what to do. My mind doesn't work that way, but they've been playing console games for ages and know what to look for. Of course my son has wanted to teach me how to play, but as I stated earlier, that's going to be next to impossible! He'll give it a try, so we'll see what kind of a teacher he is. Who knows, I may get addicted! I'd like to thank EA Play for providing me with 2 Wii games, one to keep and one to giveaway. The opinions expressed are my own and never influenced by the company. We have been wanting to get some of the I-Spy games. My grand-daughter mentioned a dance game (Dance Party?) as one that she wants. Any of the Raving Rabbids games :) They are so much fun! This monopoly one would be great! I usually leave the games up to hubby thuogh. My son would like the newest Raving Rabbids game. I want the wii fit! My son would like Lego Star Wars: The Complete Saga Wii game. Thanks. Epic Mickey would be fun. I just love playing the Wii. I am hoping to get Just Dance 3! The new Zelda game would be sweet under there! Um... I know nothing of video games! Just call me "old"! 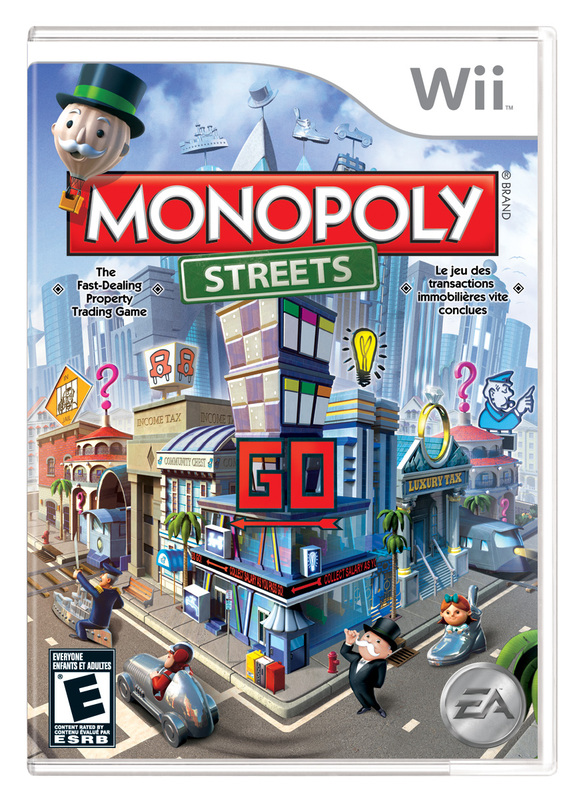 I know I've heard my son and stepson mention Zelda and Mortal Combat... From the sounds of the names, I'm thinking that Monopoly sounds much more my style! Hmmm I'd love Zumba, my 9-year-old wants Mario Kart! well either this game, or one of the animal crossing ones ( I'm way late on the wii as well) Though I do have that Zelda one per-ordered So I'm not complaining if I don't see either of those, Zelda has always been a good series. I am hoping to get the Zumba Fitness for Wii under the tree this year! LOL! I want THIS game under my tree for Christmas! I'm hoping for this game under my tree. Ben 10 galactic racing game. I'd liek to find Zumba for Wii. the new lego harry potter game! One we are hoping for is Wii Fit.